2014-01-05. Published in category False Christianity - Mormonism - TORONTO BLESSING. 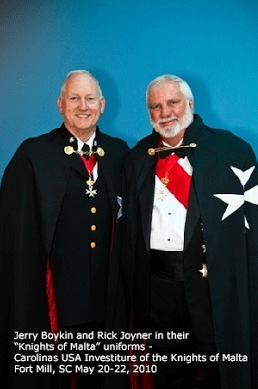 Rick Joyner is a Knight of Malta & here! As you can hear in the last video - the Knights of Malta is ecumenical. THE "TORONTO BLESSING" AND KANSAS-CITY "PROPHETS"
2013-10-28. Published in category False Christianity - Mormonism - TORONTO BLESSING.